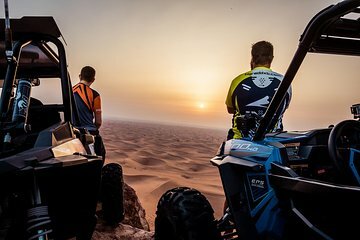 Calling all thrill-seekers: this fast-paced sunset excursion lets you race over Dubai’s rugged sand dunes in your own two-seater buggy. Find hidden corners of the vast desert, reaching remote and stunning landscapes off-limits to most tourists. Tours include door-to-door pickup from Dubai or Sharjah, complimentary refreshments, and all safety gear.